Santa shares a story with Jeremy that explains why he brings presents on Christmas Eve—even to little boys and girls who may not deserve them. Author Lora Johnson makes your child’s dream of meeting the beloved Santa Claus come true! 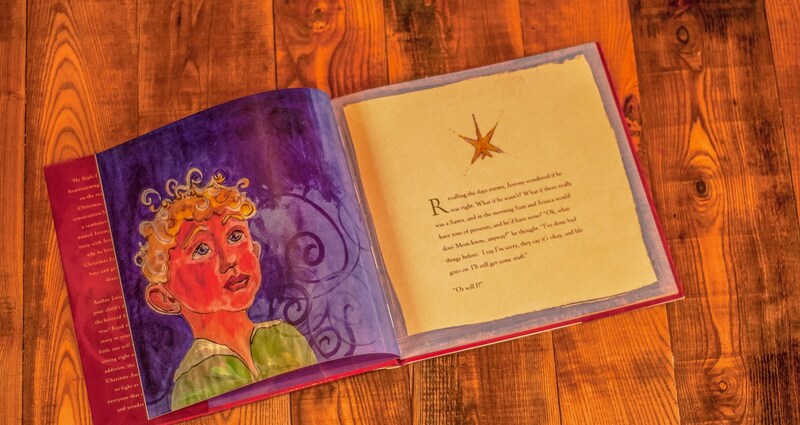 Read this enlightening story to your child, and your little one will feel as if they are sitting right on Santa’s lap. In addition, the artistic talent of Christine Ann Edwards comes to light as she captivates everyone that enjoys the warmth and wonder of Christmas.